When I bring out cloth napkins for a meal, my teenagers eye them with suspicion. I don’t do it often, but when I do, I’m sending my family a message that we are going to slow down and spend some time together. We are not going to eat standing up in the kitchen, we are not going to eat slumped in front of the TV (even though some circumstances call for this). And I hope someday they look back and know that those cloth napkins, along with the many large and frequent home-cooked meals, were just another way for me to love on them. When we domestic engineers employ table linens—the good tablecloth, pretty placemats and cloth napkins—we are saying that this meal we’re sharing matters. 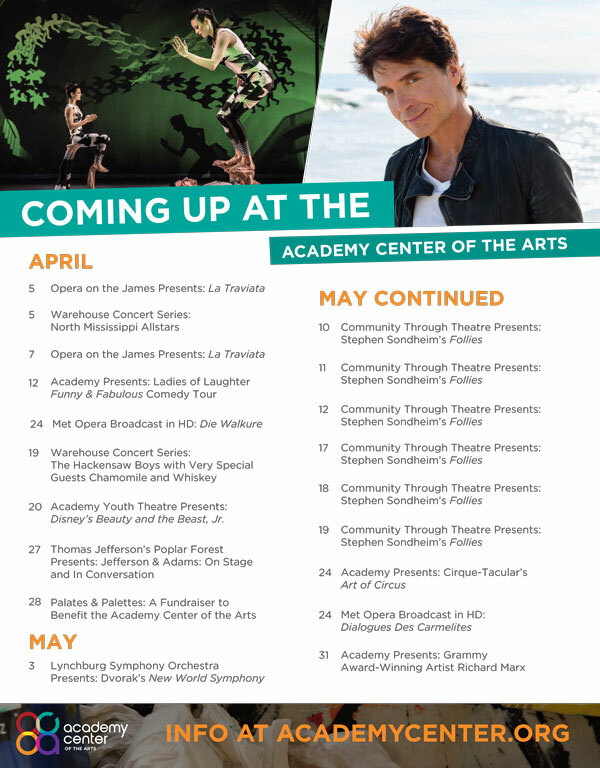 It’s an occasion. And this mindset shouldn’t be limited to one season (I’m looking at you, Thanksgiving and Christmas!). 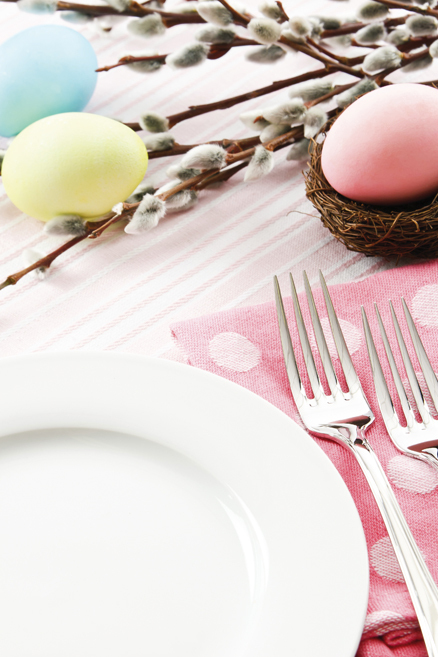 While spring offers lots of special occasions for dressing the table, like Passover Seder, Easter, Mother’s Day, end-of-the-school-year celebrations and graduations, it’s also time for fresh starts, spring cleaning and getting organized. 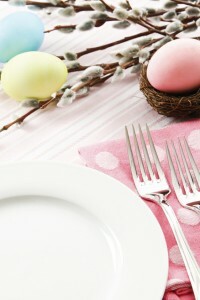 Take time this spring to assess and update your table linen wardrobe just as you would your personal wardrobe. Even if you only use linens for an occasional meal, you’ll be stocked and ready to make memories in your home with the people you love. Think of your linens the way you would your clothing. Basic, quality pieces can be accessorized to create different looks. But just like any great outfit, the underpinnings can make or break the look. If you are going to use a tablecloth, know that the foundation of the most beautifully laid table is the oft-neglected table pad. Not only does a table pad protect your table from scratches, burns and spills, but it also provides a better drape for your tablecloth. The extra padding can also eliminate the clinking and clanging of tableware being placed and passed, taking the gentility of the affair up a notch. Table pads come in a variety of forms, materials and sizes. You can order a high-end custom-fit table pad at most local furniture stores or online; these are usually made from some variation of a vinyl-coated fiberboard with a velvety underside, and can cost up to several hundred dollars, depending upon the size of your table. Made to fit precisely over the tabletop, these pads can be folded and stored when not in use. Another option is the “table silencer” which is a thick, drapey tablecloth itself, made of felt or a flannel-type cotton/polyester blend. Like a large, quality tablecloth, silencers tend to be a little pricey. For a few dollars, you can pick up a trim-to-fit table pad, made of vinyl backed with a polyester padding, at just about any big box discount store. Or, some pros suggest using a blanket (think smooth wool or microfleece) as a table pad. Since this is your base layer, choose the best white or off-white tablecloth you can afford for your formal dining area in a cotton or linen fabric that looks and feels best to you. Make the investment and commit to take care of it, because with this blank canvas, you can create many different looks for years to come. To enhance the look, drape a smaller round cloth over the larger one on a round table, or a square cloth over a round or rectangular table. You can even layer several square cloths set on a diagonal down the length of a rectangular table. While they certainly do not have to match your walls, patterned tablecloths add an instant design element to your room. Another bonus? Patterns are more forgiving of stains and wrinkles. In building your linen wardrobe, you might consider a solid, formal cloth for your dining room and a fun, patterned cloth for a kitchen table that gets more regular, casual use. There are new styles of laminated fabric placemats that give the upscale look of heirloom table linens with the modern convenience of wipeability. Or stick with placemat and napkin sets for the kitchen and forgo a table cloth here entirely. Remember that when a tablecloth is in place, placemats are not necessary. A table runner is a versatile piece to include in your linen wardrobe because you can use it in creative ways. It can translate as formal or informal depending upon its composition. It can be placed over a tablecloth, layered with other table runners of varying widths and lengths, placed widthwise along the table to create “placemats for two,” and it can stand alone. It’s an easy and inexpensive way to change the look of your tabletop to suit your whimsy. Without a good fit, all efforts are for naught. Before buying a new tablecloth, measure your table’s length and width (or diameter for a round table), then add the desired number of inches you want the cloth to hang on each side to those dimensions. This will determine the size of the cloth that is ideal for your table. Drop is a matter of preference, but there are a few things to consider: the shorter the drop, the more informal the look; any drop less than 6 inches just won’t work; and drops longer than 15 inches might get tangled in diners’ laps. Whatever the drop, it should look proportional to your table and hang to about lap level. For example, if your rectangular tabletop is 56×74, and you want a 10-inch drop, add 20 to each measurement (76×94) and shop for that size (or something really close to it). While tablecloths come in a variety of standard sizes, you should also know that sometimes your favorite tablecloth isn’t made in your desired size. For example, I have found it difficult to dress my 60” round dining table. And don’t forget to account for any table leaves—you might want to have one tablecloth that fits with the leaf, and one that fits without, if budget permits. 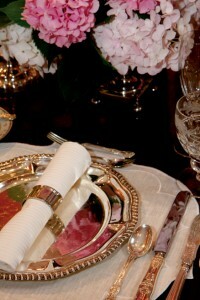 Placemats and napkins are the jewelry and scarves for your table. For starters, buy as many of each as you have place settings of your dishes, and maybe, at least for napkins, a just-in-case “plus two.” Have fun mixing and matching textures and patterns, always aiming for contrast among the elements as you would when decorating any area of your home: solid with pattern, smooth with texture, large-scale print with small-scale print or stripe and vice versa. The style options for placemats run the gamut of traditional linens and cottons, in all manner of shapes; to woven natural fibers; to vinyl-coated polyester—and even silicone that’s been die-cut into cool shapes. Quilted placemats are another great choice because their hefty padding quiets the table. Plus, they are machine washable and don’t have to be ironed within an inch of their lives to look good! Before you buy a whole new set of placemats and napkins that you’ve spent time fussing with for a perfectly-coordinated-but-not-too-matchy-matchy look, don’t forget the dishes at home in your cupboard. Those are your dishes, not the ones set in the store’s display. Your dishes play a major part in these decisions. If you have solid, plain dishes, you can be a little more adventurous; patterned dishes on patterned linens can certainly work, but this takes some finesse to avoid pattern overload and a clash of colors and styles. Patterned napkins are the most fun, flexible and forgiving option for casual dining. While blends wrinkle less, nothing beats 100 percent cotton because it softens over time (like them crisp? Iron them with a little spray starch). When considering different sizes, use this as a guide: larger napkins are used for formal dining and smaller napkins are for informal occasions. Dinner napkins are usually 20 inches square (sometimes up to 22 inches), luncheon napkins about 17 inches square, and cocktail napkins from as small as 6 inches square to 10 inches square. Though some might disagree, the size should suit your preference. That your most festive napkins are luncheon-sized shouldn’t stop you from using them for a casual Cinco de Mayo dinner. Cocktail napkins, meant to be used while standing at a party, cradling a cocktail and an appetizer plate, easily fit the small hands of children—you could even toss one in a lunchbox for a reusable, eco-friendly napkin (just don’t send one you’d be sad to never see again should it accidentally be tossed in the lunchroom trash bin). If you are entertaining more people than you have matching napkins, don’t be afraid to mix it up. As long as the patterns or colors coordinate, your eclectic napkin presentation will look clever and intentional! Yes, caring for linens can take more time than using disposables, but we’re making memories here. And in the case of everyday napkins, we’re also being a little more eco-conscious. Simply pretreat easy stains with a little water-and-dishwasher liquid combo and toss it all in your laundry bin until your next load. You may have to research cleaning tricks for tougher stains, but that information is easy to acquire online. Iron napkins during your guilty pleasure TV show; make a little room in the coat closet to hang your folded and pressed tablecloth from a sturdy hanger. Or if you want to be a total pro, roll your ironed linens around a sturdy cardboard tube, the likes of which you find at a fabric store, which will prevent creases. 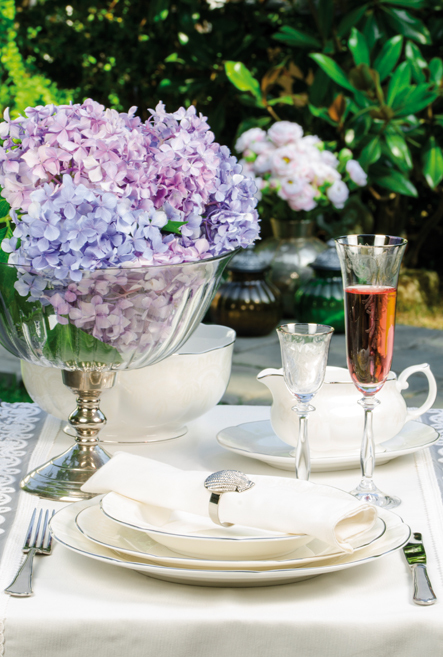 With these simple tasks done, you’ll be ready to dress any table. The teenagers may roll their eyes, but that’s okay. Sit back and enjoy a meal… together. ■Single-letter monograms should feature the first initial of the last name. in that order, usually in a script font, with the last-name initial slightly larger than those that flank it. A more modern look in a block font uses the three initials in a row (first, middle, last), all the same size. ■For couples, one popular choice is to use the initials from the couple’s first names on either side of the initial of their married last name. Napkins: place monogram in the lower right-hand corner, straight or on the diagonal; or in the center of the napkin so that the design is in the preferred position when folded or placed inside a napkin ring. Placemats: place monogram in the lower right corner, straight (to the right of the plate); or the top center of the mat (above the plate); or the middle (under the plate). 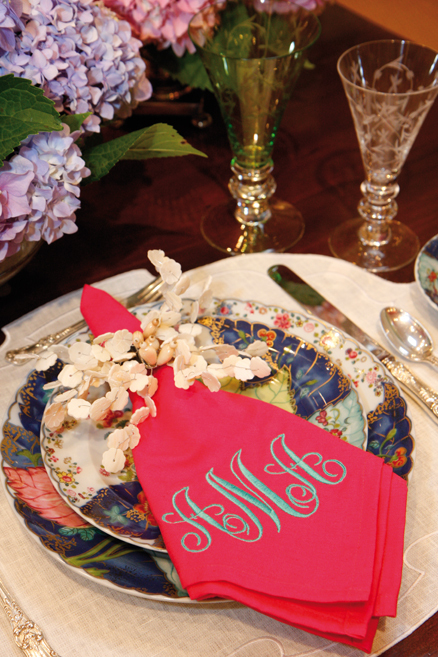 Tablecloths: monogram corners on the diagonal; or make a bold statement and place a large monogram in the center.